Keep your y’alls while combatting the stereotypes. If you're traveling outside the state for the holidays, here are a few tips. Planning for upcoming travel “abroad” this holiday season – basically anywhere outside of Texas – got us thinking. 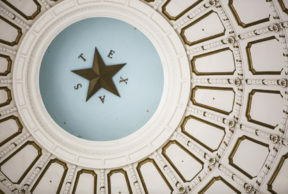 How should Texans behave themselves, being citizens of the greatest state in the nation? Kayla Stewart writes for Houstonian Magazine. She’s currently in exile in New York. She says Texans are in danger of making a few mistakes when traveling abroad. “Texans definitely have a huge amount of pride,” she says.